There’s a new expression in Woodford Reserve’s lineup: Woodford Reserve Kentucky Straight Malt Whiskey. The blended whiskey is based on historical recipes and is influenced by Woodford Reserve Bourbon. It’s 51% malt, which Woodford says results in a whiskey that complements the nutty characteristics you find in the original Woodford Reserve. 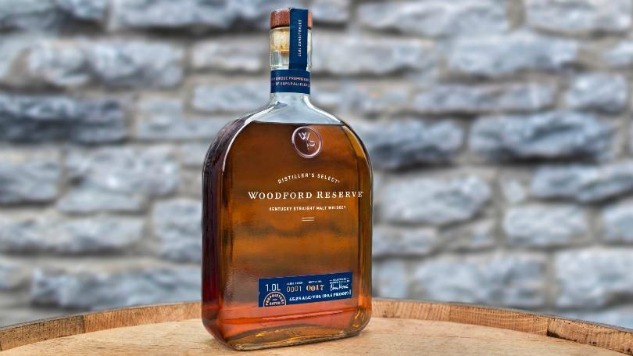 Woodford Reserve Malt is the fourth permanent line extension to join the portfolio, which includes the original Woodford Reserve Bourbon, Woodford Reserve Double Oaked, and Woodford Reserve Rye. Woodford Reserve Malt is bottled at 90.4 proof and will be sold for a suggested retail price of $34.99 starting in June.